Houston-native Velma Trayham, who heads up one of the nation’s hottest public relations firms, is also the person responsible for bringing The Super Comedy Bowl to Houston, one of the biggest events slated for the week of the Big Game. The event features Rickey Smiley, Earthquake, Michael Blackson, Ali Siddiq, Tony Roberts and Billy Sorrells. 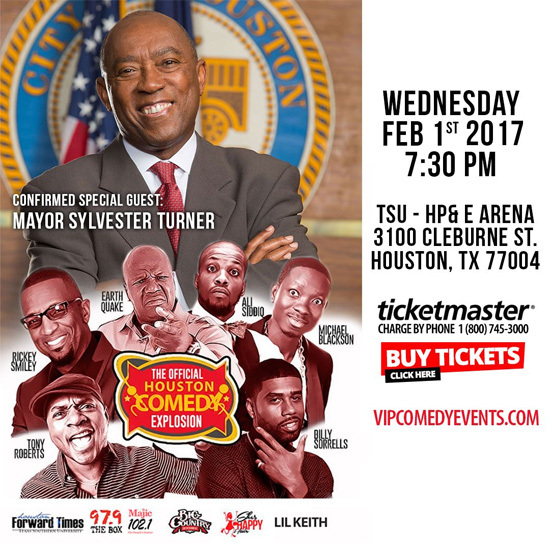 Mayor Sylvester Turner will host the pre-event VIP red carpet. The Super Comedy Bowl falls on the heels of several other high profile events that Trayham has managed over the past year, including the 2016 Destiny Empowerment Seminar, the 3rd Annual Go DJ Awards and The Well Experience. The events brought a number of industry heavy hitters to the city of Houston, such as Meagan Good, Evelyn Braxton, Tami Roman, Tony Gaskins, Judge Glenda Hatchett and many others. Trayham has leveraged the events to showcase many of Houston’s most progressive business and industry leaders, as well as to attract national attention. She is committed to helping put the city of Houston back on the map, and creating bridges between industries, communities and influencers. Trayham has helped drive more awareness through her past work to President Barack Obama’s My Brother’s Keeper initiative, as well as helped bring influential celebrities and athletes into local communities to discuss the importance of education in behalf of her clients in Phoenix, AZ. Her work helped bring together police chiefs and political figures from all across the country to the city of Phoenix in order to improve community relations following a series of police-involved shootings. Trayham also dedicates a tremendous amount of her time and talent helping drive the growth of the church community. Trayham is also credited with helping The Lighthouse Church grow its membership by 400 percent, and now works with The Daily Bread, pastored by Ellis Powell, to help bring millennials back to the church. For some, her connections to both Hollywood, and to local and national church leaders have a tendency to raise eyebrows. But Trayham is very vocal about her unique ability and passion for working with churches to grow the body of Christ by living in a secular world, but not of the secular world. 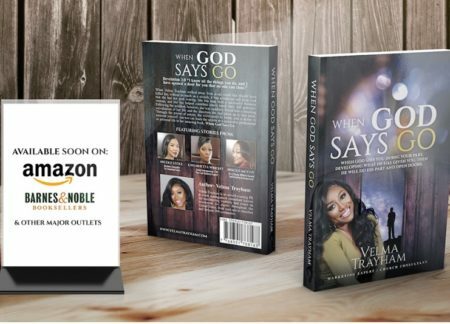 In fact, her next venture is a book that showcases how her faith has spurred, not only the growth of her business, but her passion for helping to build both brands and people. Velma Trayham has offices in Houston, Los Angeles and Atlanta. For more information about her, visit www.velmatrayham.com.